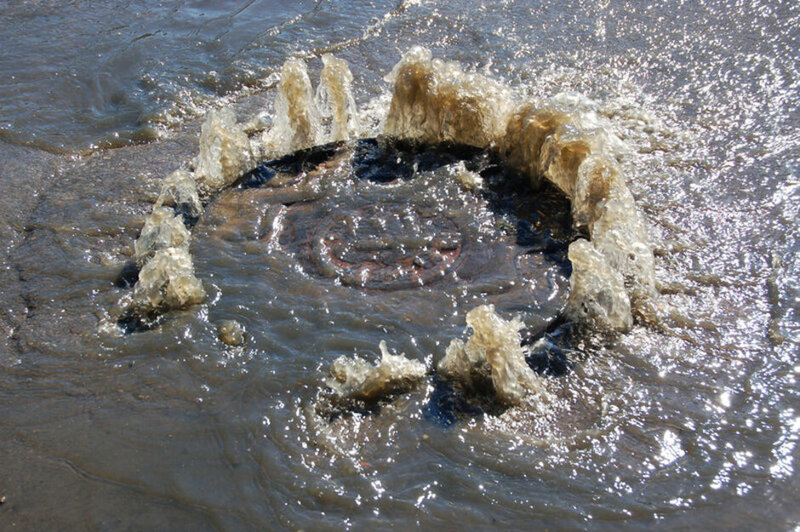 Infiltration - water, other than wastewater, that enters a sanitary sewer system from the ground through defective pipes, pipe joints, connections, or manholes. Private sources of infiltration include sewer service connections and building foundation drains. Infiltration quantities often change depending on the season, groundwater levels, or stream/river levels. Heavy rain events can trigger a rise in groundwater levels and increase infiltration. The highest infiltration flows are observed following significant storm events or during prolonged periods of precipitation. Inflow occurs as a result of events such as rainfall, snowfall, springs or snow melt, all of which contribute to excessive sewer flows. Tuscarawas County Metropolitan Sewer District personnel perform smoke testing to detect deficiencies within the sanitary sewer system. 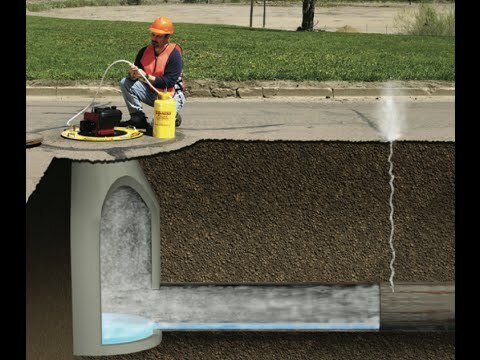 Non-toxic smoke is blown into the sewer system, which then travels through the sewer system and escapes through any connection, cracks, leaks, etc., identifying points of inflow or infiltration. Residents will be notified at least two (2) weeks in advance via US Mail of smoke testing in the area of their residence and then again with door hangers 24-48 hours prior to the actual testing day (weather depending). With the aid of customers, the Tuscarawas County Metropolitan Sewer District can continue to keep sewer treatment plant and operational/maintenance costs low by eliminating infiltration and inflow from being introduced to the system. Below are a few ways that you can assist us in eliminating I & I.
Stormwater connections such as roof drain downspouts, yard drains, and sump pumps can be disconnected from the sewer system. You can redirect the downspouts onto lawn and garden beds, hook up a rain barrel or cistern to their downspouts, or redirect the connections to a separate stormwater system. For more information regarding infiltration and inflow, please contact our office at (330) 874-3262.